Perhaps the most mind-boggling of the ANC government’s unwritten rules is the one that states: “All apartheid-era political killers shall be let off the hook.” In among the documents that didn’t get presented as oral evidence during the re-opened Timol inquest in August 2017 was a showdown between a senior NPA advocate and a world-class police and investigations expert. Put it this way: it’s another big loss for truth. By KEVIN BLOOM. Thus ends paragraph six of the family’s expanded heads of argument in the re-opened inquest of the late Ahmed Timol. Compiled three weeks after the presentation of oral evidence, during which Advocate Howard Varney dismantled the 46-year-old lie regarding the activist’s suicide — here (at 47 minutes), for the viewing pleasure of the country, is the version that suggests Timol was tortured and murdered by the apartheid state — there is much in the 200-page document that was not argued in court in detail. For instance, the contention that the evidence of the civilian witnesses, who testified that Timol’s “fall” happened in the morning of that distant day in 1971, should be preferred over police evidence that it happened in the afternoon. Or the contention that Joao Rodrigues, who was allegedly the last person to see Timol alive, should be charged with murder for his role as a collaborator as well as for his failure to call the medics. That said, for the purposes of saving the collective South African soul, by far the most significant addition is paragraph 6 as quoted above. Yup, we are returning – as we must – to what is arguably the most mind-boggling of the ANC government’s unwritten rules: the rule that states, “All apartheid-era political killers shall be let off the hook.” Daily Maverick covered this uniquely South African hypocrisy in some depth last year, during the farcical proceedings that opened the Nokuthula Simelane murder trial (which is still waiting to hear its first witness), and now the past has come a-knocking with a fistful of receipts. Remember Advocate Chris Macadam of the all-important Priority Crimes Litigation Unit (PCLU) in our much-beloved National Prosecuting Authority? The same Advocate Macadam who, since 2010, had been sitting on the docket that held evidence of Simelane’s disappearance and alleged murder back in 1983? The same Advocate Macadam who, despite the fact that Simelane’s security branch tormentors did not apply for amnesty for her murder, and had been denied amnesty for her torture by the Truth and Reconciliation Commission, sat on his hands forcing the family to approach the high court for an order compelling the NPA to make a decision? As it turns out, Advocate Macadam features in the reopened Timol inquest too. Rewind to 2003, when Imtiaz Cajee, Timol’s nephew, approached the then national director of public prosecutions (NDPP), Bulelani Ngcuka, informing him that none of the police officers implicated in Timol’s death had applied for amnesty. At that time, the key role players were still alive, such as the investigating officer General Stoffel Buys (described by the Timol lawyers as “thoroughly corrupt”), and the two primary interrogators, Captain Johannes van Niekerk and Captain Johannes Gloy. Timol apparently committed suicide moments after these two stepped out of the room, allegedly leaving him under the control of pay clerk, Rodrigues. The matter was handed to Macadam to investigate. On 15 August 2017, Macadam submitted an affidavit to the Timol inquest in response to the testimony of Cajee, which had been submitted the day before. Macadam complained that Cajee’s testimony created the impression that his investigation into the alleged murder of Timol by the apartheid police—which had followed a complaint made to the NDPP—had produced “negative results”. This, he stated, was “not a true reflection” of his involvement. Macadam then stated that in February 2004 he wrote to Cajee to inform him of the bad news, inviting the latter to supply him “with additional information so that the case could be reconsidered”. Macadam did not “hear anything further” from Cajee, he added. Shortly thereafter, he continued, he was taken off all TRC cases and assigned to a lengthy prosecution involving an “international nuclear weapons syndicate”. When he was later instructed to return to the TRC cases, he went on, he looked into the Timol matter—in 2015, according to Macadam’s affidavit, he formally requested the NPA to open an investigation. Once again, however, Macadam’s best intentions were foiled by a more important case – was assigned, his affidavit stated, to “a very urgent matter relating to international terrorism”. Dutton expressed his dismay at the approach: “It is clear that the PCLU task team did not bother itself with ‘studying’ the Timol matter (which amongst other facts, disclosed several potential witnesses who had not been interviewed), before making an irrational recommendation (based on the report of a journalist rather than the facts contained in the filed material) not to prosecute and to close the matter without interviewing the potential witnesses. In other words, the NPA was doing what it had always done when it came to apartheid-era political murders: ignore, equivocate, suppress. So why did the Timol inquest get re-opened, with a proper airing before the nation, when all the other cases—most notably the Simelane case—got choked in contradictory and impossible paperwork? The long answer is contained in paragraph 43 of the main heads of argument submitted on 8 September 2017 by the legal team for the family of Ahmed Timol—the paragraph dealing with the timeline of events. In this paragraph, the police file of Captain Van Niekerk discloses a litany of complaints of torture (one resulting in the death of a detainee, for which Van Niekerk is convicted of assault) made against him and Captain Gloy. Within hours of the arrest of Timol, a call is placed to Van Niekerk and Gloy summoning them to John Vorster Square to “break” the “big fish”. The timeline also discloses the following: on 31 October 2006 “Van Niekerk dies”; on 25 February 2007 “Buys dies”; on 30 July 2012 “Gloy dies”. This, then, is the short answer: it was safe to re-open the Timol inquest. The most important suspects were dead. Ultimately, Macadam had nearly nine years to carry out the most elementary and basic investigation. He had nine years to interview Salim Essop (who was arrested with Timol and brutalised into a coma), as well as other detainees who could testify to their own torture as well as what they had heard and seen on the 10th floor. He had nine years in which to identify the whereabouts of police officers who had interrogated or guarded Timol. He had nine years in which to peruse the police files for evidence linking the latter to brutality. He had nine years to trace Rodrigues and interrogate his version of what transpired in room 1026. He had nine years in which to do a walkabout through the building to discover potential witnesses to the fall (which is how the family’s lawyers discovered witnesses 45 years later). He had nine years to consult forensic pathologists and trajectory experts to determine whether the police version was possible or not. But Macadam did none of the above in these nine years. Is it any wonder that the apartheid-era political cases assigned to him have all died slow deaths on his desk? As Daily Maverick’s series on the Simelane trial has been at pains to point out, the NPA prefers not to go after former Security Branch operatives mainly because, to put them on the stand would be to run the risk of the ANC’s apartheid-era secrets coming to light. Unlike Germany, which has been known to charge and sentence former SS prison guards as old as 94, South Africa’s policy is to smother its past. 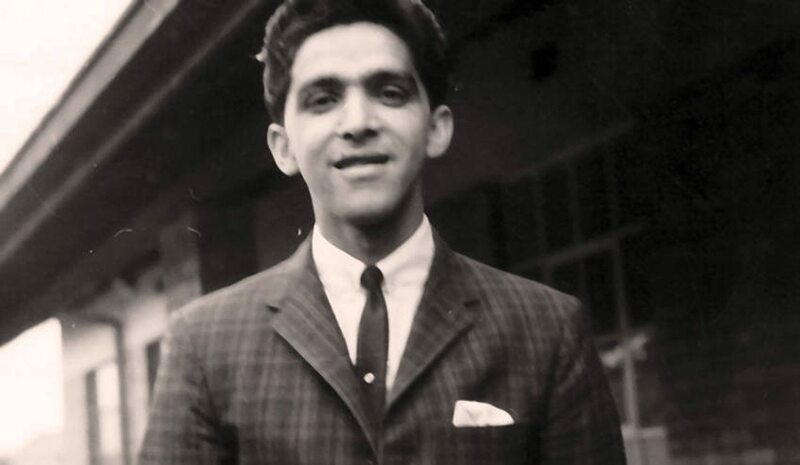 Photo: Activist Ahmed Timol was killed in detention on 22 October 1971.